The Half Link for #40 Chain attached to your #40 Chain on your sewer camera transporter. At TruGrit, we offer a variety of transporter parts that allow for your machine to be fixed in a timely manner. Sewer camera transporters are essential to your day to day services because inspections are performed at almost every residential, commercial, and municipal sewer and drain appointment. 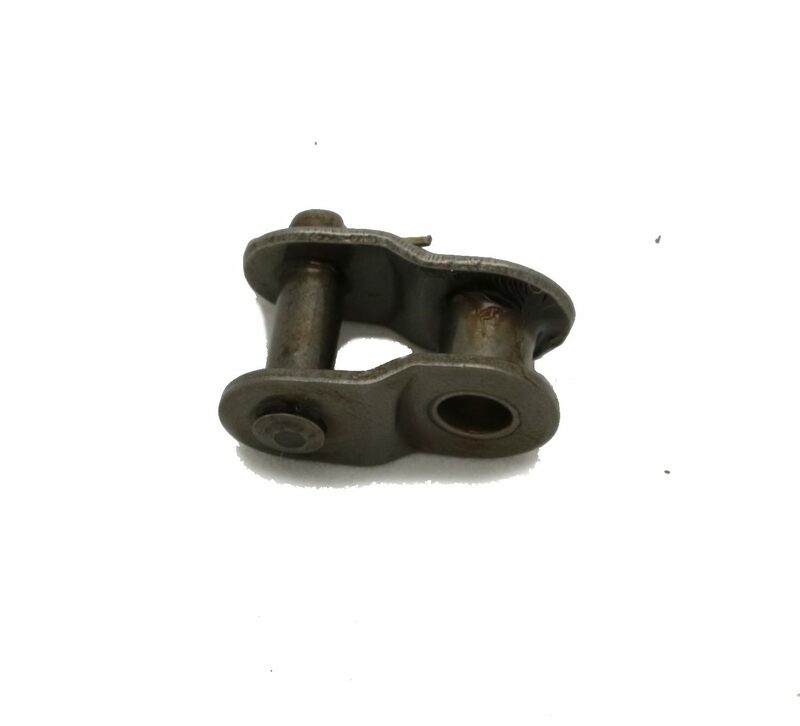 The Half Link for #40 Chain is made from durable material that will ensure your transporter’s chains are working to their fullest protentional. The half link attaches to your #40 chain allowing it to be securely attached to the body of your sewer camera transporter. The Half Link for #40 Chain is an essential part of your transporter and should be replaced with ease. At TruGrit our parts are always affordable and allow professionals to effectively repair their sewer camera transporter. This product pertains to: Sewer Transporter Chain Likes & Cleats, Sewer Transporter Half Link Replacement, Sewer Camera Transporter Replacement Parts, Sewer and Drain Inspection Equipment, Sewer Camera Transporter Equipment, Sewer Camera Transporter Chain Link Parts, Resident, Commercial, and Municipal Sewer Camera Inspection Parts, Trenchless Sewer Camera Inspection Equipment, Sewer Camera Crawlers, and Sewer and Drain Transporter Link Parts, and Sewer Transporter Parts.